One of the reputed and renowned cancer institutes in India, Dharmshila is a public charitable trust working for cancer patients. The hospital is located in Vasundhara Enclave, very close to Noida. This specialized hospital is famous for its quality services and well trained doctors and nursing staff. Founded in 1987, the hospital provides high quality medical care to privileged patients. It has separate heart center, cancer center and west end services center for different kinds of patients. Spread over an area of 12 acres, the hospital is famous for its superior health care services and conventional equipments used. RGCI is well acclaimed hospital for cancer patients. Located in western part of Delhi, the hospital has separate chemotherapy and radiotherapy wards. Surgery is undertaken by special doctors. The institute runs under the flagship of Indraprastha Cancer Society and provides quality medical assistance at nominal prices. AIIMS is India's most reputed hospital curing above 80,000 patients every year. It is a government hospital providing free medical services to its patients. The institute runs with an idea to serve those who can not afford quality health care facilities. Patients across the country visit this hospital for their treatment. Run by Delhi Government, it is yet another public service hospital in Delhi. The hospital provides free medical services to people with limited finances. With over 1000 beds, the hospital treats patients with a holistic and compassionate care. Located in Industrial Centre of Rohini, Jaipur Golden Hospital provides outstanding health care facilities. The hospital is well equipped with all modern machineries required for all kinds of treatment procedures. There are specialized labs situated within the hospital to provide convenient diagnostic services to patients coming here. Providing world class integrated medical care and support of qualified and competent doctors, Kalra Hospital has earned a lot of name and fame for itself. It is a proud member of CII (Confederation of Indian Industries) as well. High quality, compassionate patient care is the main focus of this hospital. The institute has been making relentless endevours to identify new horizons for health care industry in India. The hospital provides a dynamic environment where an efficient team of doctors and nursing staff constantly work towards good patient care and support. Being one of the respected medial institutes in Delhi, Maharaja Agrasen is a choicest hospital for many. Extensive research and development programs are conducted by the hospital in order to disseminate effective knowledge to public as regards some of the fatal diseases. One of the largest heart hospital in Delhi, Metro Hospital and Heart Institute is led by able guidance of Dr. Purshotam Lal. Enunciated in 1998, the hospital has grown into a super specialty hospital. The hospital conducts various workshops and awareness campaigns on heart diseases and its prevention. 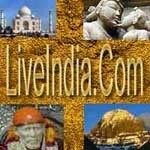 It is one of the acclaimed hospitals in India. To deliver quality health care services, with responsibility, care and trust, committed to the highest standards of excellence, by a multi-disciplinary approach in the management of disease at an optimal cost is the main objective of this hospital. A group of well trained and competent doctors provide medical assistance here. Safdarjung Hospital is one of the largest hospitals under the control of Directorate General of Health Services providing medical care to millions of needy people not only from Delhi but also from neighboring States. It is for this reason that daily average census for indoor patients remain above 2000, almost 30% more than the sanctioned strength. Sant Parmanand hospital is a state of the art medical facility providing tertiary level of medical care. The hospital was commissioned in Oct 1997 and within the short span of its existence as a multi-specialty hospital it is regarded as a center of excellence in the professional circles. The 150-bedded hospital is renowned for its medical expertise, excellent nursing care and quality diagnostics. Sheetal Hospital is a CGHS approved hospital in Delhi. It has brought together, exceptionally brilliant doctors of Delhi under one roof. A committed team of 100 members forms the staff here and provides a broad range of specialty treatments ranging from family care to cardiac surgeries. The hospital realizes the importance of preventive health care and hence is associated with many awareness campaigns. Started by group of missionary women, St. Stephens Hospital serves the needs of around 5,000,000 people residing in the walled city of Delhi. Medical care is available at subsidized rates here while for people belonging to lower income groups, the services are provided free of cost. The institute is known for its distinct medicare. 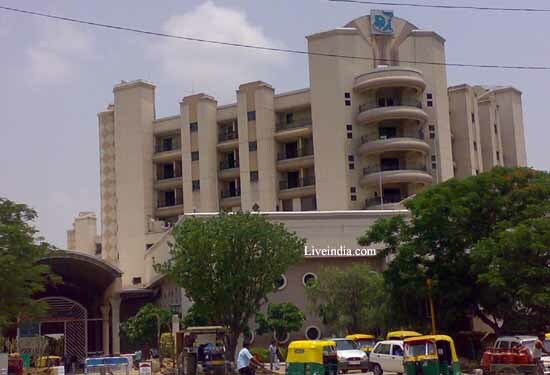 Run by Delhi Catholic Arch-Diosece, Holy Family is a charitable hospital. With moderate equipments for treatment available and qualified doctors, the hospital is respected and trusted by people. For economical weaker sections of the society, the treatments are offered free of cost. Fortis is a world-class super specialty hospital established by Ranbaxy Laboratories which is the largest pharmaceutical company in India. Fortis hospitals are benchmarked to international standards and in the cardiac area are affiliated with the Partners Healthcare System of USA. It is one of the best equipped hospitals in Delhi. Established initially in Lahore in 1921, it was re-established in Delhi after partition of India in 1954. It provides comprehensive health care services, and has acquired the status of a premier medical institution. It is the only hospital in the private sector that has maintained nearly 100% bed occupancy due to its reputation. A super specialty hospital in Delhi, Vardaan Hospital was established in 1995 with a view to provide standard health care facilities. It has excellent infrastructure with all modern equipments for treatment. There are special air conditioned, well appointed rooms for privileged patients. Within a decade, the institute has created a name in the industry. Escorts is one of the health care institute in India providing excellent heart care facilities. 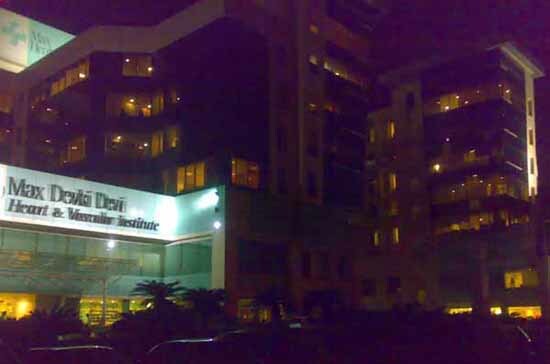 It is one of the privately owned and managed hospitals in Delhi. The hospital has excelled in research, training and the care of patients. It provides patients with best of the doctors, medicines and nursing staff. Enunciated in 1981 by All India Heart Foundation, NHI is a centrally air-conditioned and well equipped modern hospital in Delhi. There are well appointed rooms with professionally competent doctors and nursing staff. With provisions like surgery, the hospital has excelled in heart disease treatments.